That Takes The Cake, located in the heart of the Union Street shopping district in San Francisco, dazzles the tastebuds. From flavors like Blonde Bombshell and Gentlemen Prefer Reds to Hella Nutella, That Takes The Cake features the most deliciously unique variety of cupcakes you can imagine. 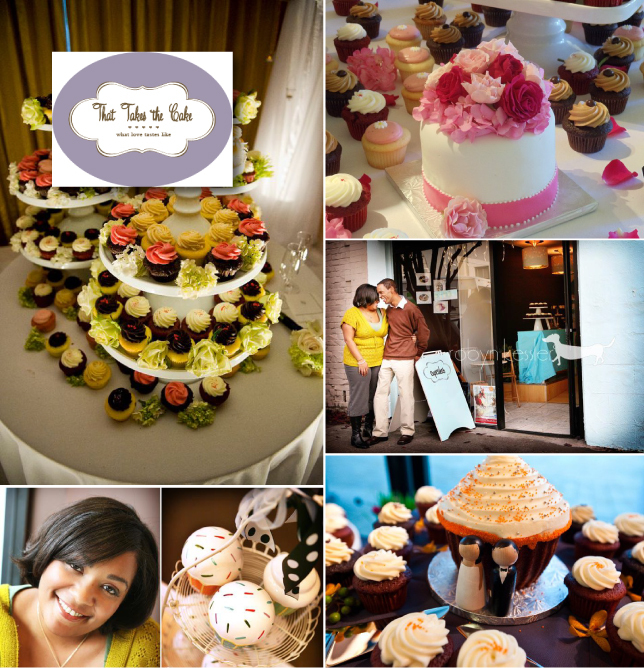 We are a gourmet cupcake boutique operated by the husband and wife team of Brian and Keisha Williams. We have been serving the Bay Area since October of 2007, and we are in the process of taking our business to the East Bay--opening a shop at 5855 Macarthur Blvd., right behind the Mills College Campus. Our specialty is making the cupcakes want to share with friends and family. Come into our sweet cupcake boutique and taste the difference our natural, fresh products make. Each cupcake is fuller and creamier, just the way love should taste.